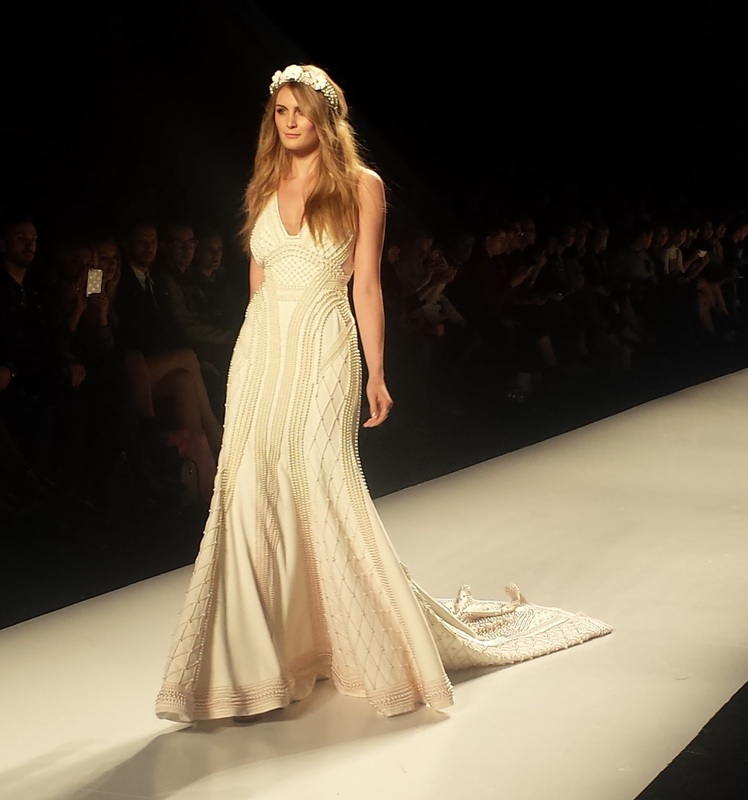 Toronto Fashion Week Wrap Up: Part Two. Day two of fashion week in this gorgggg Lucian Matis coat. 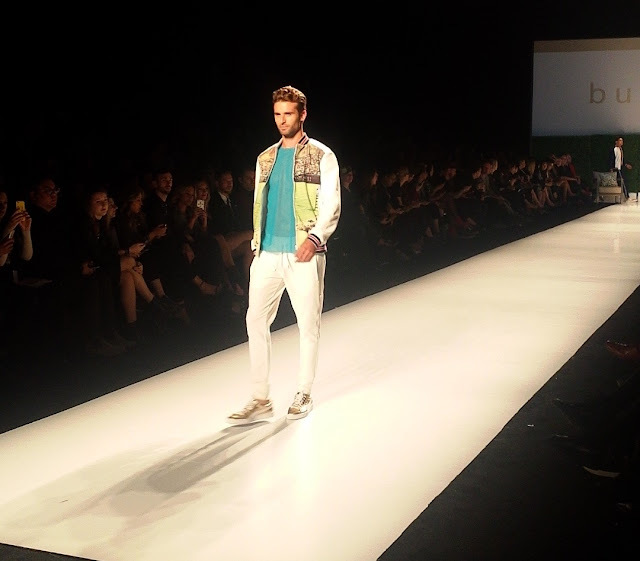 I have to say he is one of my favourite Canadian Designers. I have seen many, many of his shows and he never disappoints! 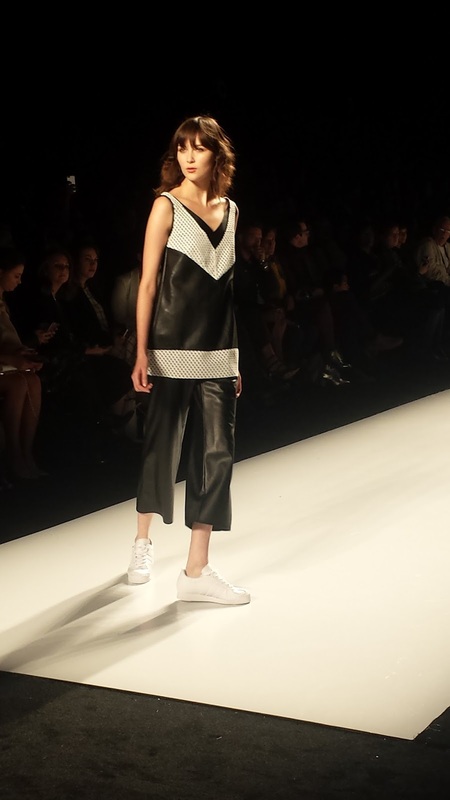 He had kind of disappeared from showing his collections at Toronto Fashion Week for a few seasons, but made his come-back this season, and I couldn’t wait! So, Anna from Struckblog and I caught another three shows on Day 2. 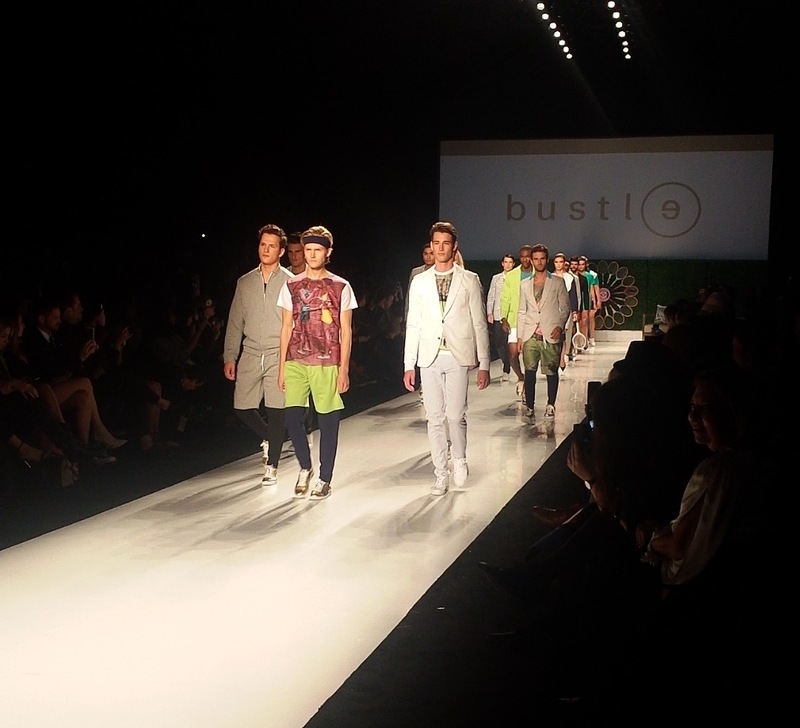 Bustle, a sportswear collection designed by Shawn Hewson and Ruth Promislow. Sportswear really isn’t my thing, however, if it was, I’d be all over this collection. Don’t get me wrong, I do exercise…hot yoga counts as exercise right? Nonetheless, the collection was menswear and not for women. Still, a super fun and cheeky collection. See below. I mean….if you have models like these wearing whatever, I’d be into it. Great collection. Hot male models. I really am not complaining. Selfie with Anna from Struckblog! Pre-show selfies is a must. Ps. my front cellphone camera is horrid. Anyone else have this issue? Or do I just need to majorly upgrade? 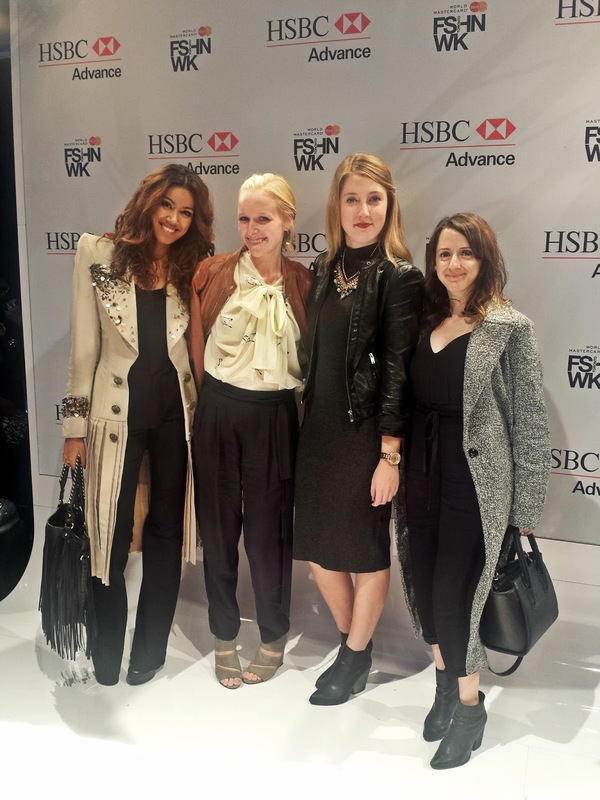 A lovely photo-op with some other blogger gals! 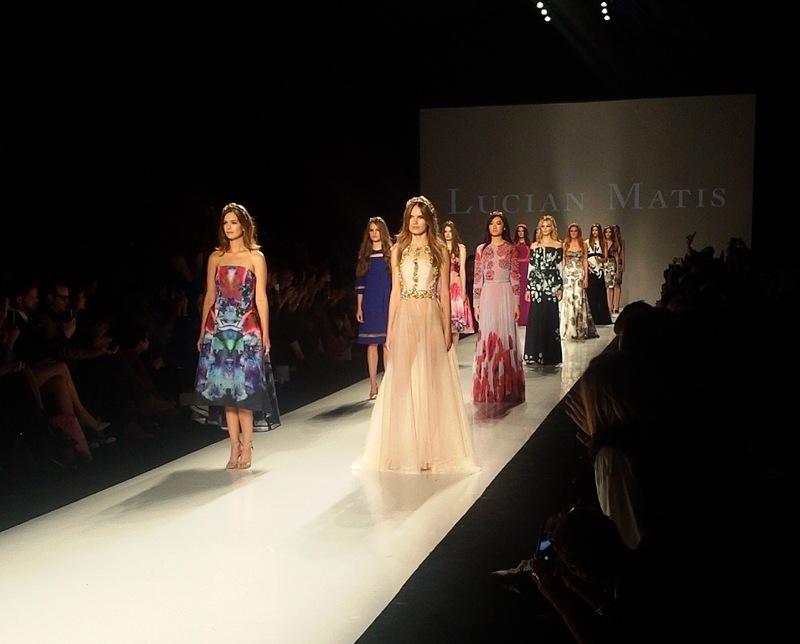 As mentioned above, Lucian Matis being one of my fave Canadian Designers, brought nothing short of a stunning collection! I gawked at EVERYTHING, and would seriously wear it alllll! 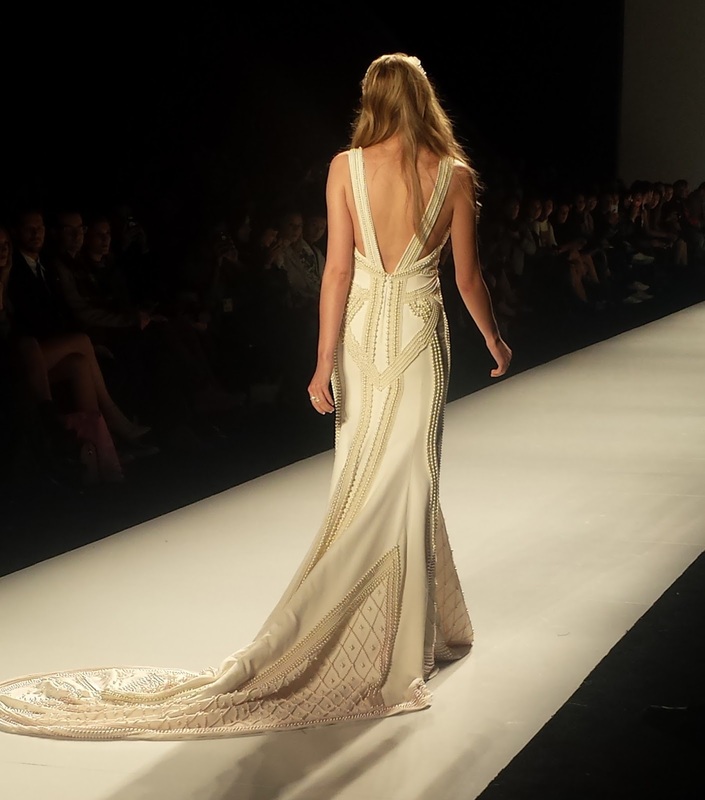 We saw lots of lace, beads, lazer cut pieces, and beautiful fabrics and textures. This entire dress was covered in beads! Such a visually appealing dress. Handmade, of course! Outfit details can be found here. Boots are from Guess. Day Three of Toronto Fashion Week was cold. I couldn’t pull of wearing anything light. So, I opted for a Kenneth Cole knit sweater, an over-sized scarf from H&M, a wool hat from Aldo, and over-the-knee boots from Guess. Part of the outfit can be found here. Caught in the act of selfie-ing. Yes, I just said selfie-ing. Thanks Brian deRivera Simon for capturing this! 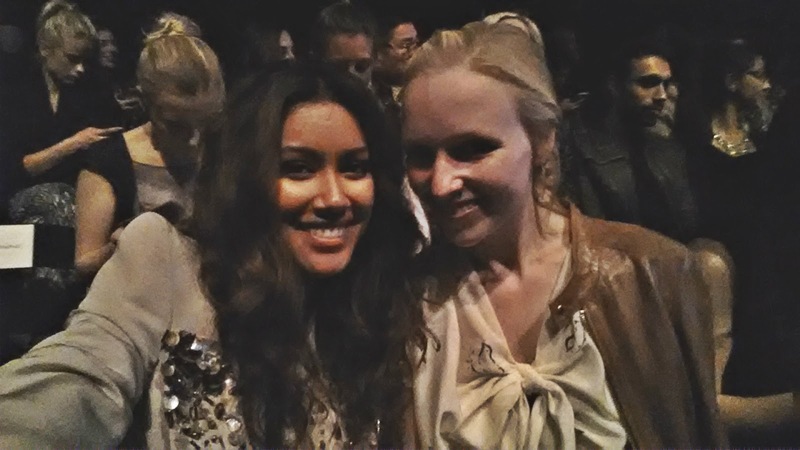 Follow my lovely friend, Anna from Struckblog! 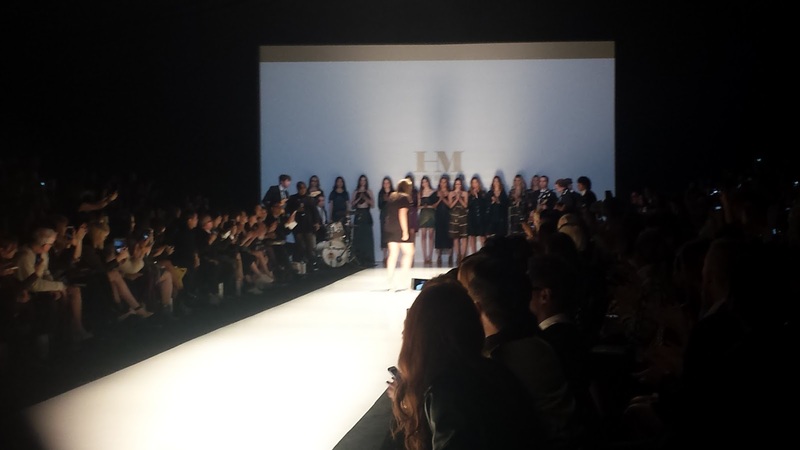 Designer Hilary MacMillan’s collection consisted of beautiful prints and fabrics such as leather, wool, and cotton. 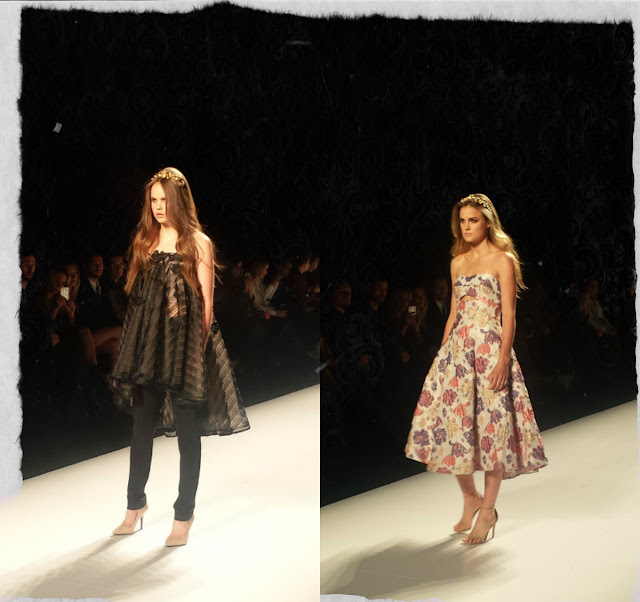 Her collection was very wearable, and made for the urban, modern woman. An absolutely stunning collection overall. 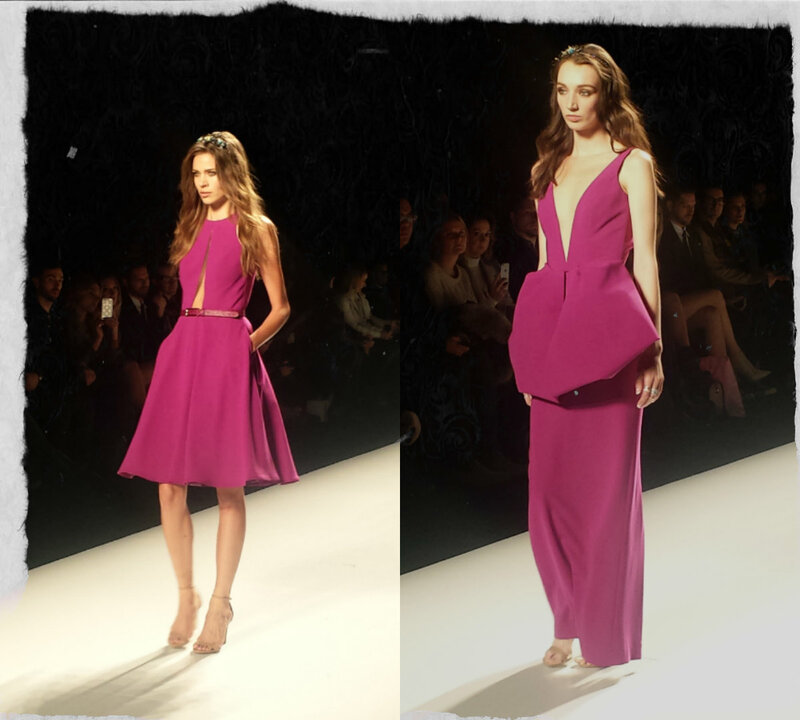 Pink Tartan by Kimberley Newport-Mimran was the last show I caught this season at Toronto Fashion Week. By Thursday I was exhausted and wanted nothing more than to spend my evening at home, with wine. I’m also a huge fan of Pink Tartan, for her wearable and simple pieces. She never overdoes her collection, and always stays true to her designs. 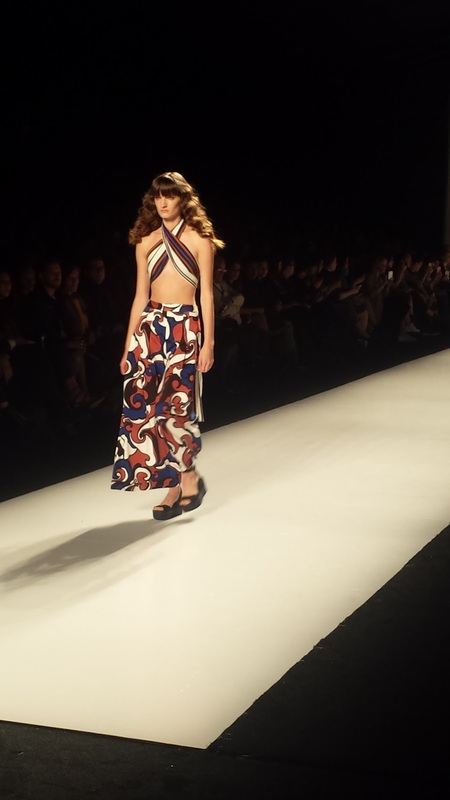 We saw lots of crop tops, leather pieces mixed with other fabrics, and gorgeous prints this season. She always keeps it very light and fresh. I would rock this in a heartbeat!! So overall fashion week is an exhausting but super fun week filled with SO MANY talented individuals! I do it every year and I don’t see myself stopping anytime soon. It’s just one of those crazy weeks where you have to juggle your work life, your personal life and your fashion week life and just some how come out alive! Previous Post Toronto Fashion Week Wrap Up: Part One. Gorgeous photos! Love the show! Love your outfit you are wore to the fashion show! =) I must say being new to the blogging world I know I will enjoy your upcoming posts! 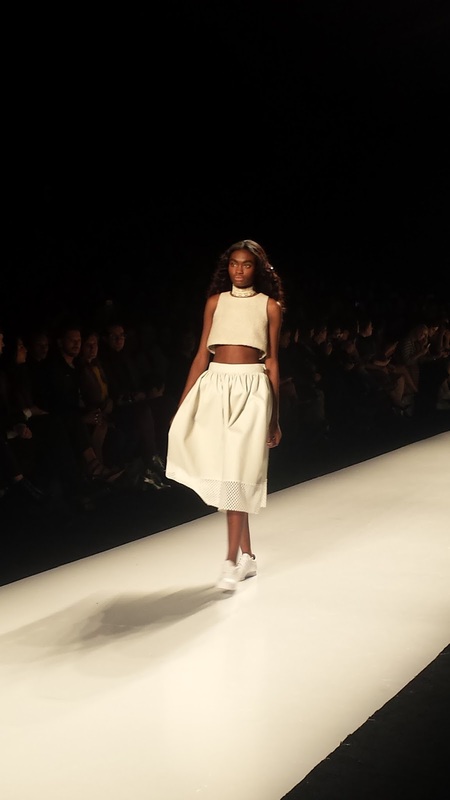 Toronto Fashion Week Wrap Up: Part One.